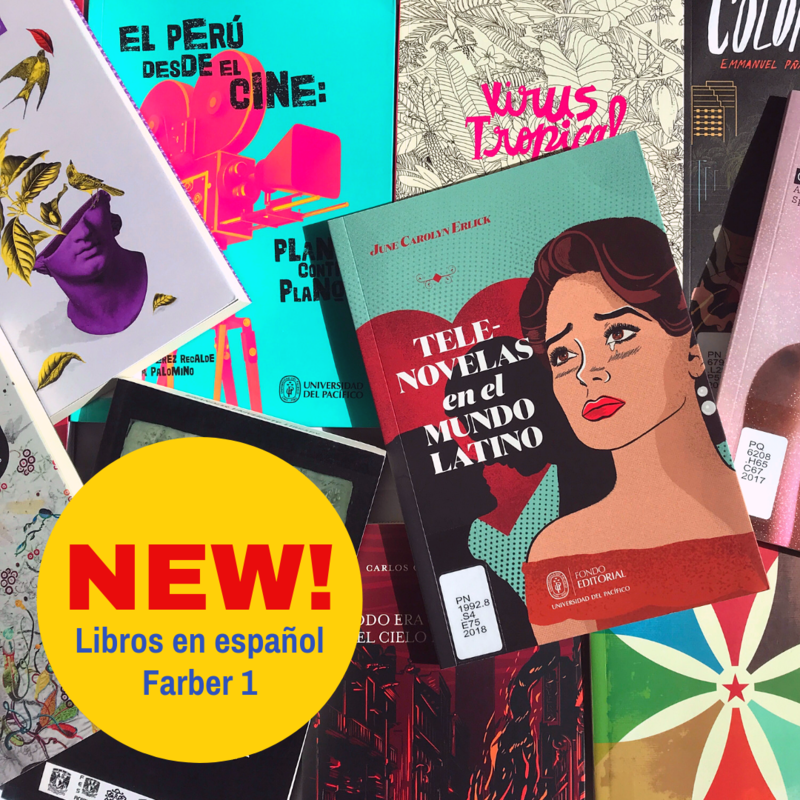 We've added Spanish-language books to our collection! Social Sciences Librarian Maric Kramer attended the Fería Internacional del Libro (FIL) in Guadalajara—a Spanish-language book fair hosting more than 2,000 publishers from 47 countries. With business as one of its main goals, FIL also is a cultural festival in which literature plays a major role, including a program where authors from all continents and languages participate and a forum for the academic discussion of the major issues of our time. The new books are on display in Farber 1, around the corner from Starbucks. More books will be added throughout the spring semester. Check them out on your next visit!